A young literary agent at Peters, Fraser & Dunlop, Laura Williams is currently building her author list and looking for literary and commercial fiction, crime and thrillers and high-concept young adult. Here, Laura explains what she would love to find in her slush pile. The thing I love most about my job is the editorial process – after half a dozen redrafts over many months, it’s all about that moment where I can finally tell the author to put down their pen: it's over to me now. As a young agent at PFD, I'm building a list, so I'm able to spend lots of time working on books which show promise in the writing, but need work on the plot or characterisation. I don't shy away from a challenge, but the books I take on all have a spark that makes me want to put the time in to do numerous line edits and reread the book many times. When you read all day for a living you can sometimes find yourself clock watching or page counting, so when a book comes along that you dive head first into and you suddenly find you've devoured in the course of a morning, you know that book is special. I can't tell you exactly what gives a book this quality, but I am looking for projects which I don't feel like I've read before, and which can be succinctly pitched. I know, I know, the dreaded "elevator pitch" – but the truth is books stand a much better chance in the crowded market when they can be pitched in one line. If it’s got a strong hook, it also means the book is more likely to be well-plotted. I like books which know what they're about. There is always a balance to be found between commercial viability and our own personal tastes, but naturally I’m more excited about books that I would pick up off the shelves myself. 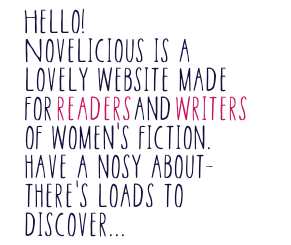 I’m currently looking to take on fiction in all areas, from literary to commercial to YA. At the very top of my wishlist would be a really well-researched historical novel. I studied Classics at university, and my current ambition is to find a book as beautiful as Madeline Miller’s The Song of Achilles. My bookshelves at home are full of novels about World War II, and I think it’s incredible that so many authors are finding new directions to explore considering it’s such a popular theme. I would love to find a book like The Undertaking by Audrey Magee or (although there will never be another book like it!) The Teleportation Accident by Ned Beauman. I like books that are quite dark, and recent favourites include All the Birds Singing by Evie Wyld, Burial Rites by Hannah Kent, The First Book of Calamity Leek by Paula Lichtarowicz and Gone to the Forest by Katie Kitamura, which have this continual chilling undertone that is a brilliant thing to be able to create. As far as crime and thrillers go, I’m looking for psychological over grisly. I loved The Fever by Megan Abbott, which was a very different type of murder mystery, and has a lot of brilliant twists and turns. However, that being said, the first book I sold was a very commercial, very grisly page-turning thriller which I never expect to find on my list but couldn’t put down, which proves that the most important quality in a book is good writing and an intriguing pitch. To submit to Laura please email the first three chapters of your novel and a full synopsis to lwilliams@pfd.co.uk. You can also follow Laura on Twitter.